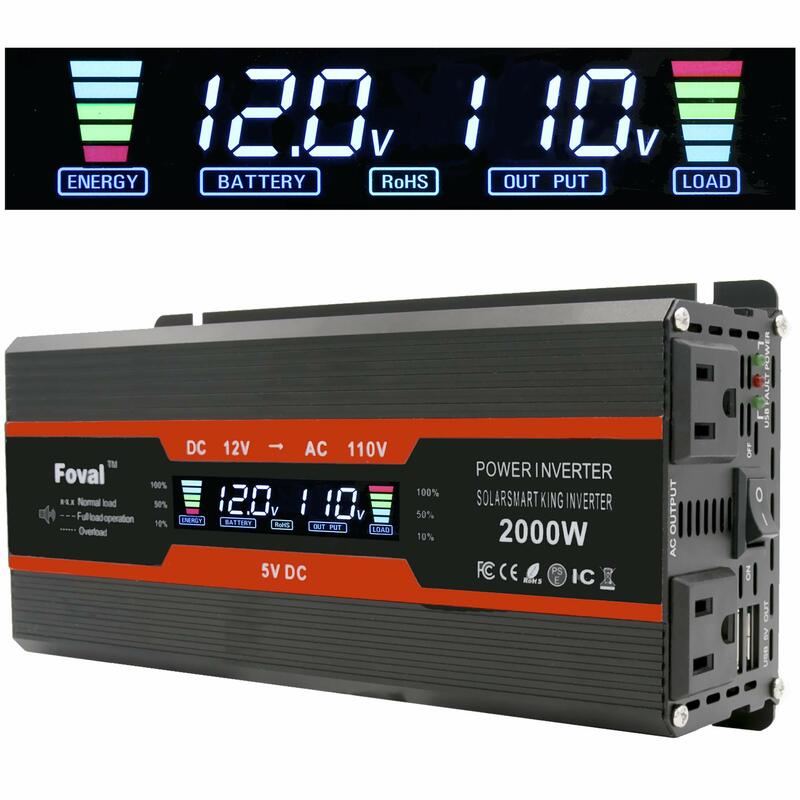 POWERFUL OUTPUT: Convert power of DC 12V to AC 110V 60Hz. 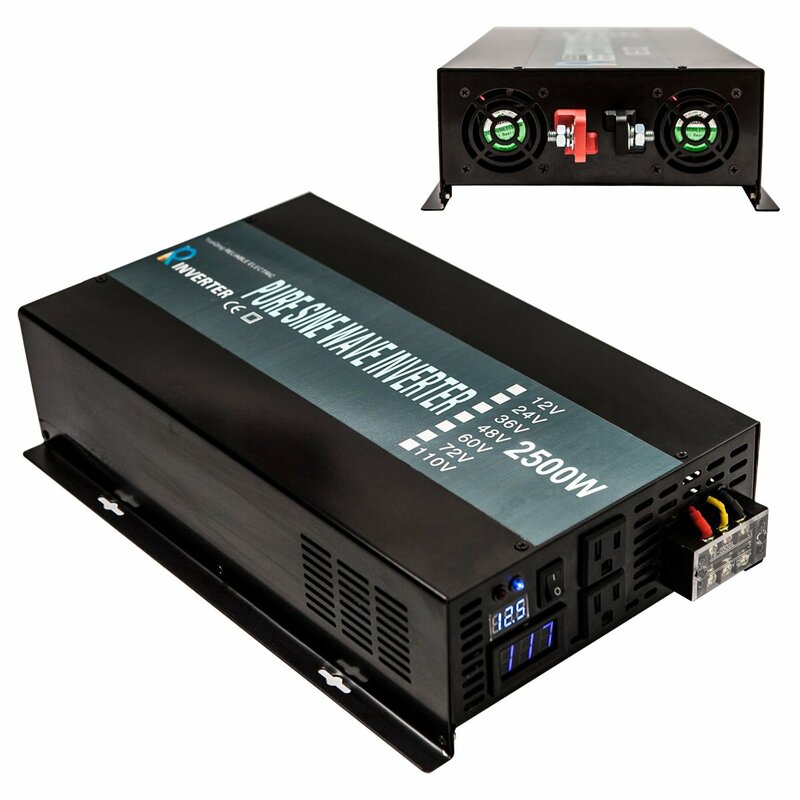 Provides 1000 Watts continuous modified sine wave power and 2000 Watts peak power. 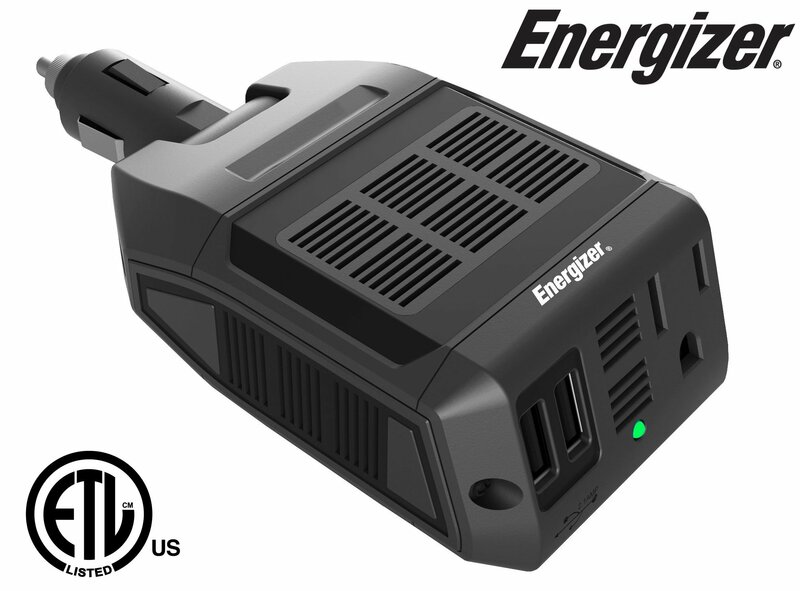 Featuring 2 AC outlets and Dual 3.1A USB ports for multi-purpose charging. Great High efficiency: conversion efficiency > 90%. 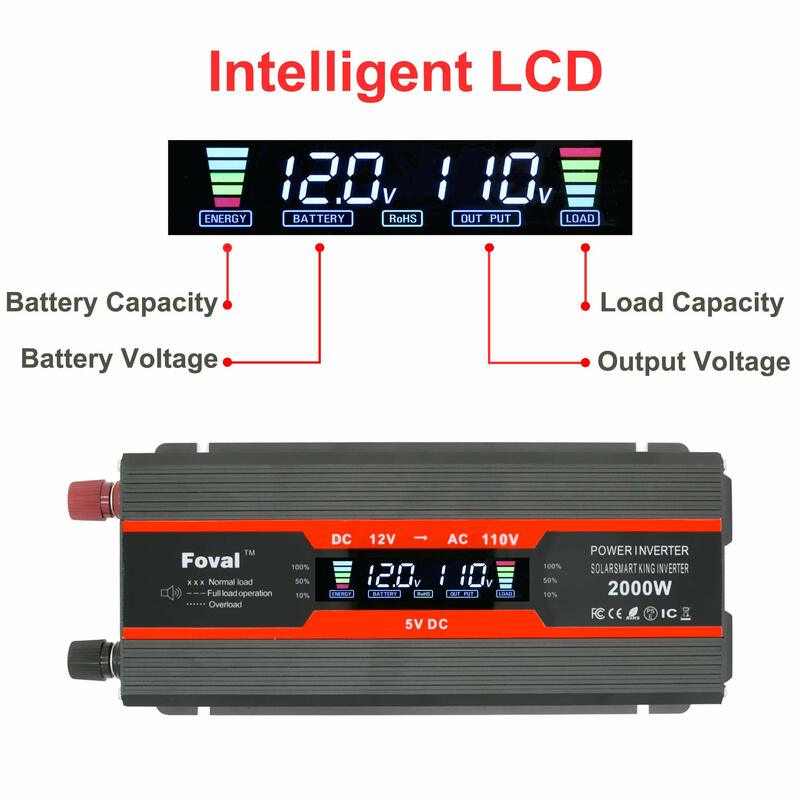 INTELLIGENT LCD DISPLAY: The LCD display shows: input / output voltage, battery capacity, load capacity. Easy to know the battery status:full, normal or empty. 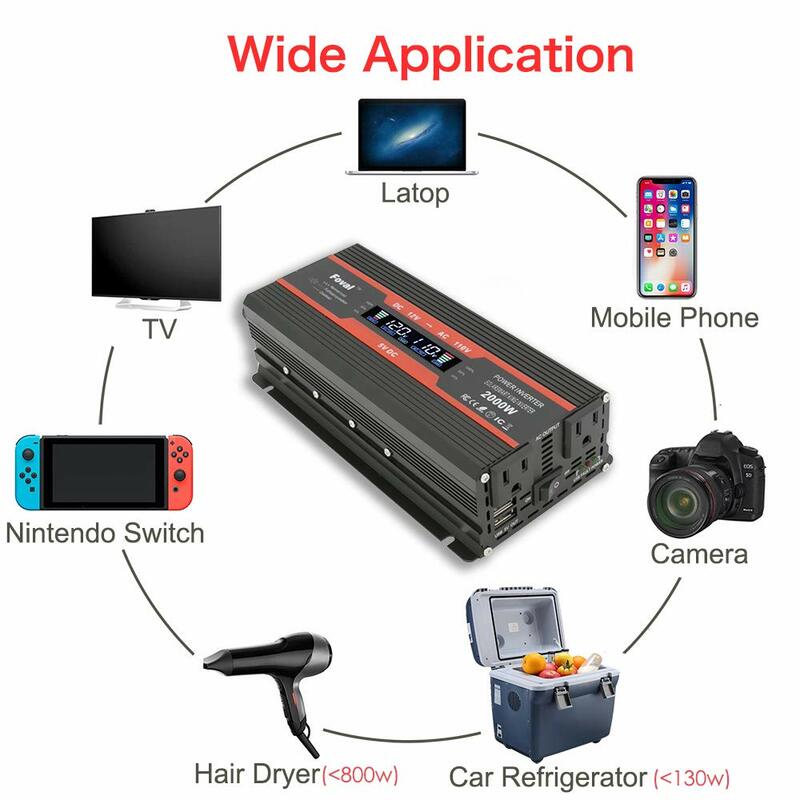 Easy to know the loads capacity. MULTI-PROTECTION: 2 Built-in 40A fuses to protect your device. 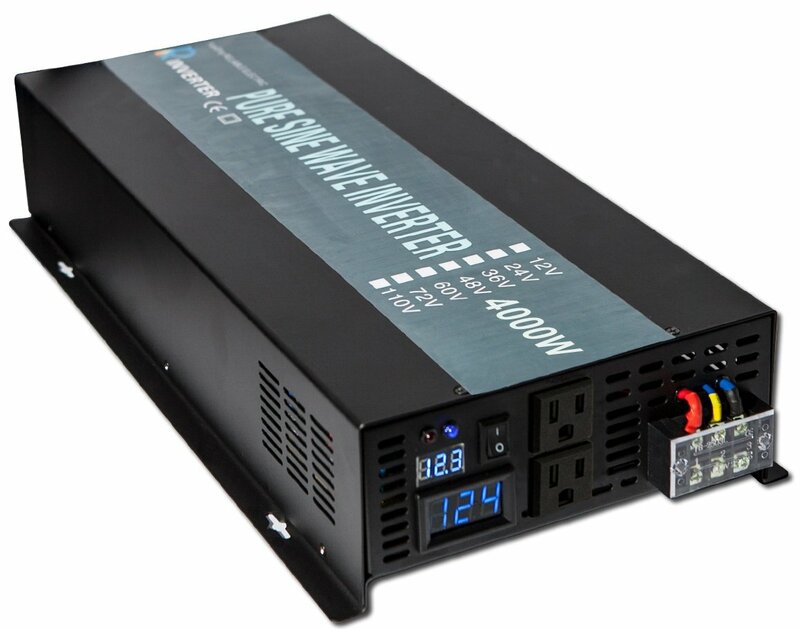 6 kinds of protection to against: Overload / Short Circuit / Over heat / Reverse Polarity / Under or Over Voltage protections. Make your batteries and appliances safer. And we have 12-Months Warranty. 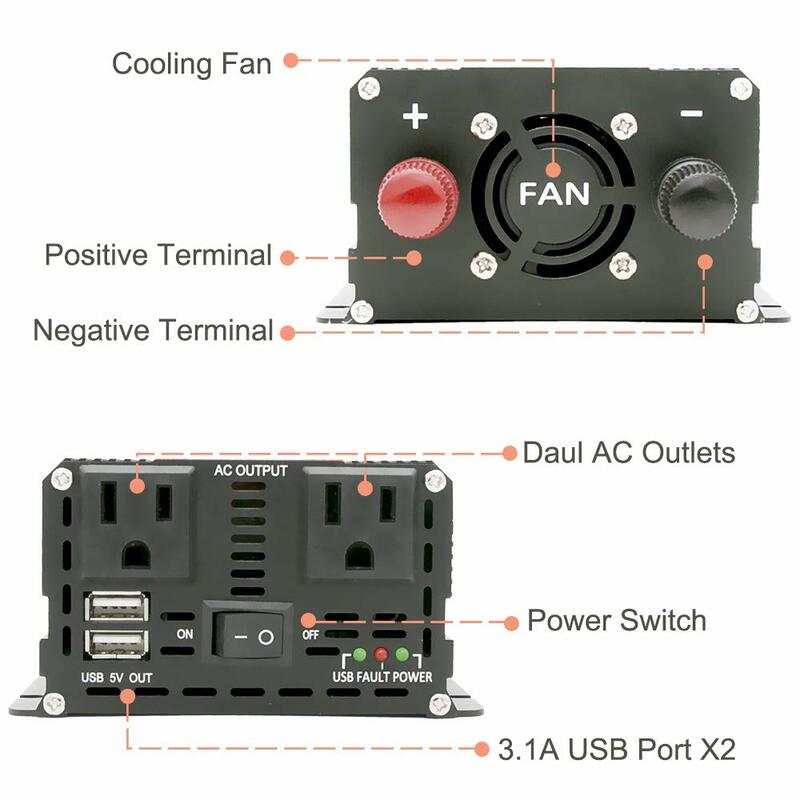 SPECIAL DESIGN: Built-in temperature control cooling fan. Isolated Ground Neutral. 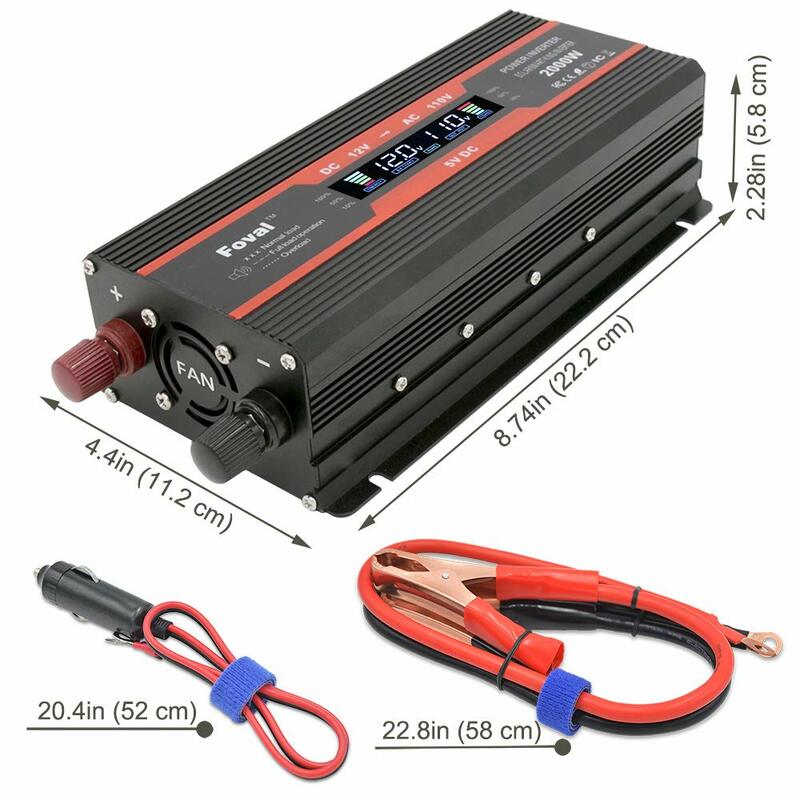 2pcs battery clips and 24 inch cigarette lighter plug come along with the power inverter, they make the power inverter can be plugged into almost any vehicle. Durable aluminum body provides advanced protection and easier to cooling. WIDE APPLICATION: The sockets are designed to easily insert two large size plugs at the same time. 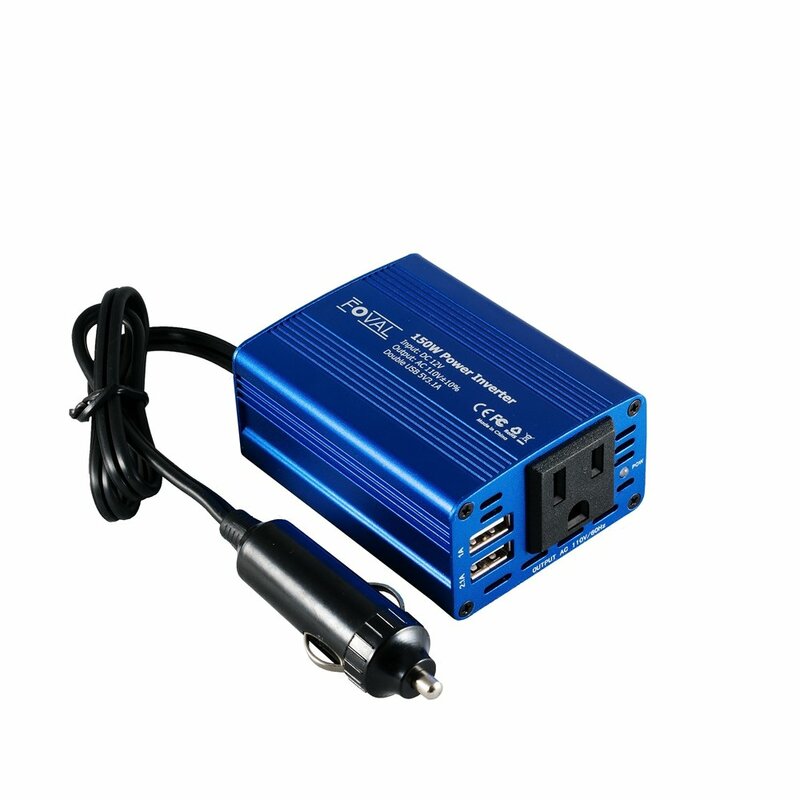 Dual 110V AC Outlets ideal for charging laptop, fan, refrigerator, game console, kindle, TV, Christmas lights, Breast Pump. Ideal for use on vacations, work trips, home or outdoors for emergency, outdoor activities and camping.